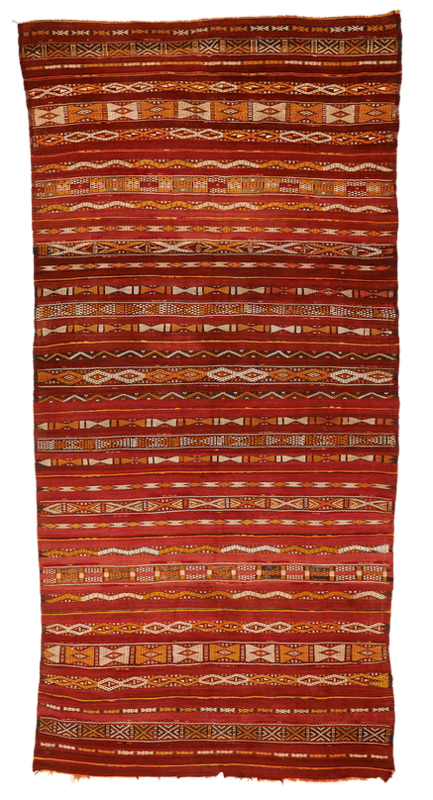 A gorgeous antique Zemmour rug (flatweave) from the middle Atlas mountains. With hand-spun wool and an authentic indigenous character. The subtle geometric patterns are arranged with seemingly endless variation. A rare and precious rug, not to be compared with more recent, coarser examples.